The train was on time and we were en-route Dandeli. 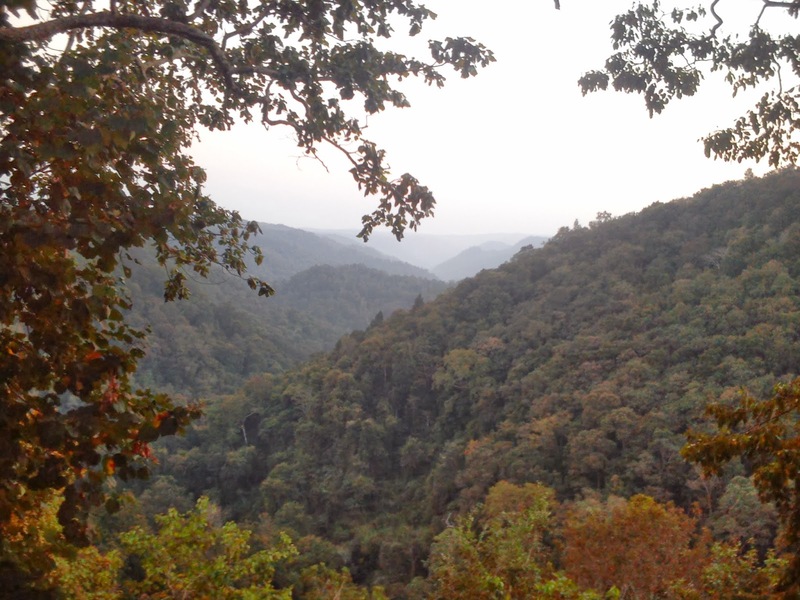 Initial plan was to get down at Castle Rock Station and trek to doodhsagar falls. People have blogged about this amazing train track trek. We were in day 3 of our trip with 2 more days to go, we decided to skip this. But we did get an amazing view of the route. If you are traveling from Madgaon towards doodhsagar then stay on the left side of the direction in which train is moving. You will get to see the amazing views. And that includes the doodhsagar falls and the bridge from a distance. And after the train passes through this stretch, move to the other side to view the falls. The water was very less in the falls. We reached Londa station at 12noon. This is the nearest station to Dandeli. The taxi guys here will charge you Rs 1500 for the 50km journey to Dandeli. We called up a few people and came to know that there are better alternatives. We took an auto to Ramnagar for Rs 120. And from Ramnagar you will get tempo/trax to Dandeli. They charge you Rs 50/person. If all the passengers in your vehicle are going to Dandeli then ask the driver to take the shortcut. This shortcut is a single road through a dense forest. You will surely love the ride. 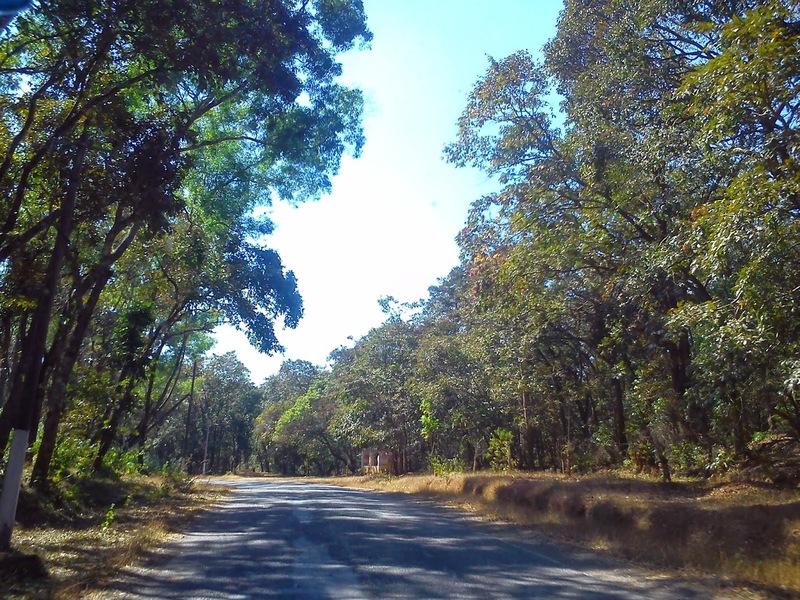 We reached Dandeli at around 130pm. We had the joLada rotti meal in a Udupi hotel near the bus stand. We had booked our stay through http://www.dandelimasti.com/. We were asked to goto the Kamat Yatri lodge and freshen up. 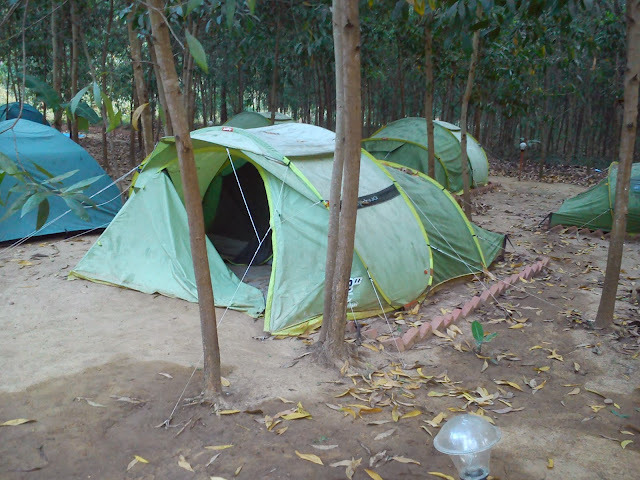 We had opted for a tent at the jungle camp site for the stay and the package started at 7pm. It was still 3pm and we decided to go Kayaking for the evening. All the activities here cost around Rs 250/person and they accept only cash. Kayaking is done in still water. Its fun if you go as a group. All the water sports are around 25kms from the city, so if you do not have your own transport then the resort people will charge you around Rs 200-500/head/day to use their transport. This was the expense we had not accounted for while planning. You can stay at Bison Nature Camp in Dandeli as it is out of the city and very near to the rafting and water sports area. On the way back we stopped by a bridge for some photos. We then went to the camping site for retiring that night. 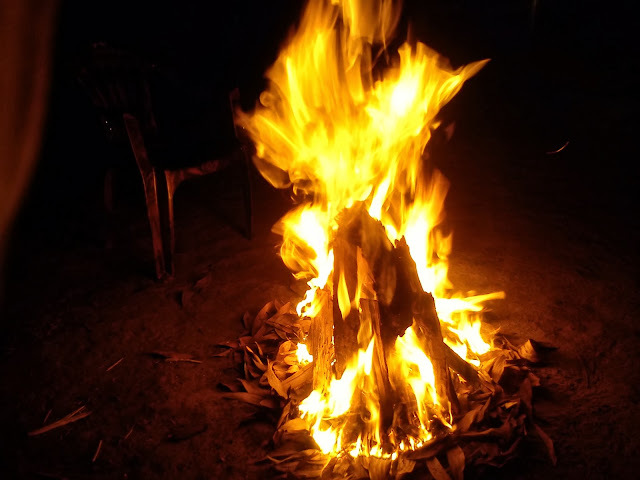 This place was good and we had some memorable talks around the camp fire. It was time for the epic water rafting. We had to be at the Kali Nature Camp by 9am to go for the rafting. Your agent needs to have booked a slot for you if you want to raft. The rafting costs Rs 1400/person. This includes the 25kms jeep ride from this place to the rafting start point and also dropping you back to resort. There will be a couple of photographers on your rafting route to click pictures. You can later buy those pictures at Rs 500/CD. The total distance of rafting is 9kms and it will last for around 2hrs. There are 10 rapids and you can get into the river for a dip. Just communicate to the guide before hand. The water in the river is dam controlled so you will find the same water level through out the year. The guide told me that rafting is stopped during rainy season. After rafting, we had lunch and then headed out to syntheri rocks. This is a volcanic rock formation and there is a tiny falls there. Its calm and cool there. You can sit and relax there for hours. This place is closed for public after 5pm. We then head to the Kali river backwaters. From here you can see the vast reservoir that supplies water to the dam for power generation. 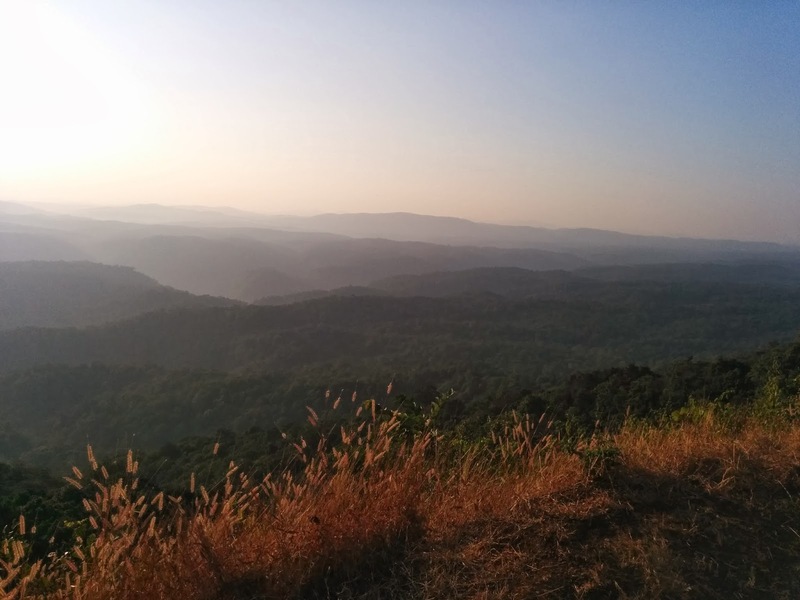 Also you can witness the sunset over the Dandeli forest. With that we headed back to our tents and retired for the night. We wanted to goto the Kavala caves this day. 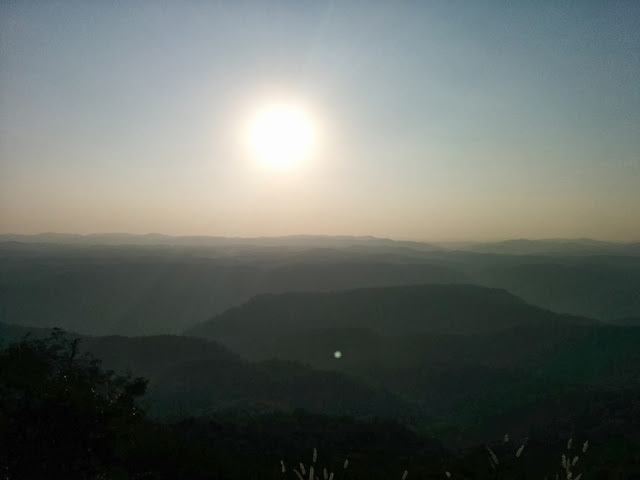 Its a early morning safari to the jungle followed by a 3kms trek to the caves. But it was Christmas day and also there was some tiger census going on because of which we had to cancel of that plan. After 4days of sleep deprived nights, we could finally sleep for as long as we wanted. We slept at 11pm and the resort guys woke us up at 930am for breakfast.We had our breakfast and stayed at the resort till 11am which was our checkout time. With nothing to do and no where to go for this day we planned to do the worse - go watch Dhoom 3 (No, we did not execute this plan). To our luck, we were told that we can go for the safari as the census had ended the previous day. I would suggest you skip this safari because there are no major animals there. You will just ride through the forest for 1.5hrs and hardly have any sighting. The saving grace is a view point deep in the jungle from where you can see the forest from a height. After the safari was over and having sighted a mongoose, wild hen and a small deer we head back to our hotel. It was past 6pm and we had our bus to Bangalore booked at 8pm. On the way back we stopped by a view point and took the final pics of our trip. With that ended the epic 5 day trip. It was an expensive trip, and as I mentioned in start of the previous post, I spent a whole lot of money that I managed to save this year. I love to visit new places and hope to continue the same over 2014 as well. Please leave your comments for both the post and do contact me if you need any additional information about these places.